A delicious Banana, Vanilla & Cinnamon flavoured Smoothie packed with Amino Acids, Vitamins & Minerals! No added sugar! Turn blender on and blend until combined. Enjoy your healthy Super Hit Banana, Vanilla & Cinnamon Smoothie! looks so yummy and healthy. It contain nutrients thats why smoothies are great way to consume sufficient nutrients. Need lots of smoothie recipes that don’t contain bananas – too much potassium. 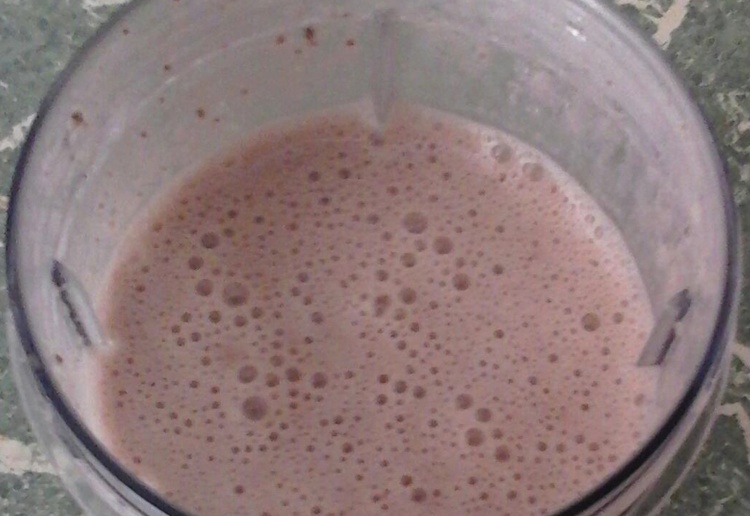 I am really loving using almond milk in smoothies. It gives a lovely, subtle, nutty flavour. Thank you for this, something different. thank you for sharing… something for the smoothie lovers! Fun to try using different types of milk if you prefer, too! Thanks for sharing; delicious and healthy!. looks nice and creamy – delish! Thanks for sharing your smoothie – love a good smoothie for breakfast. So quick and easy just what the busy mum needs to get the day started. Can see this a pick me up for the afternoon too at work.